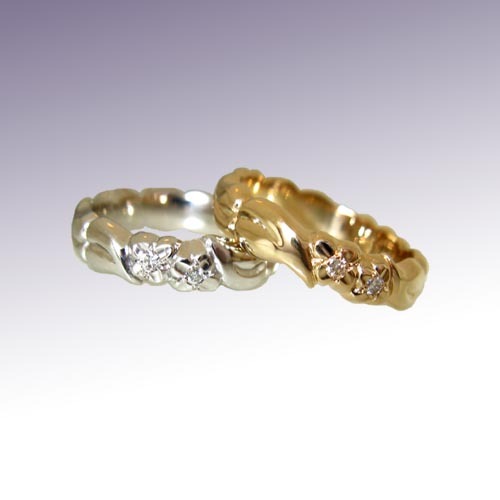 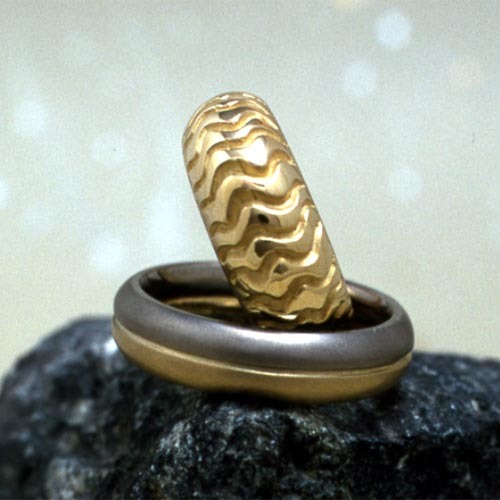 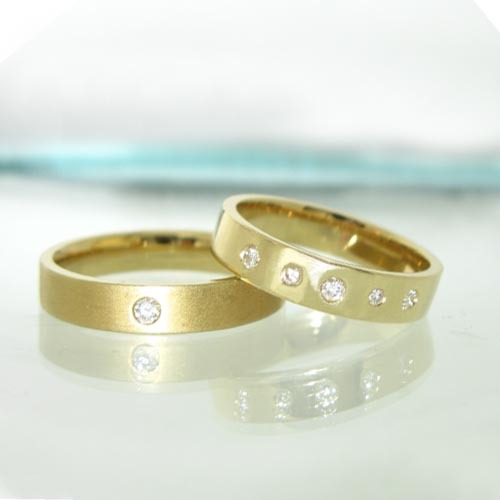 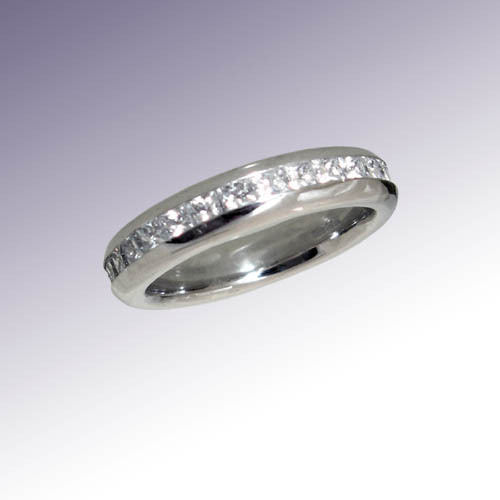 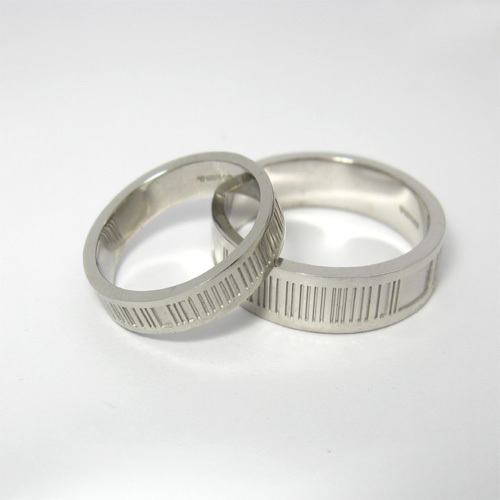 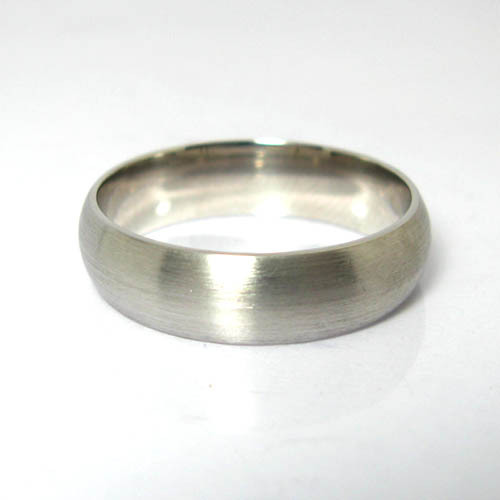 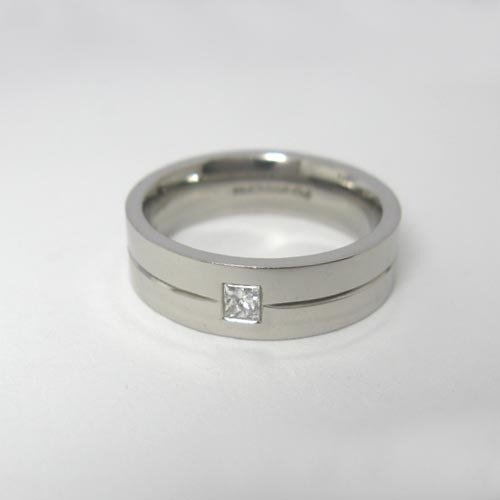 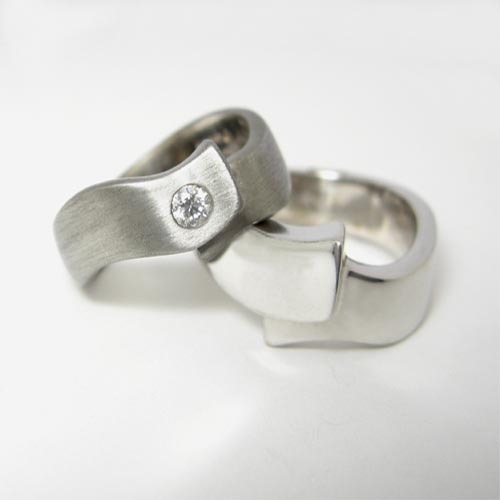 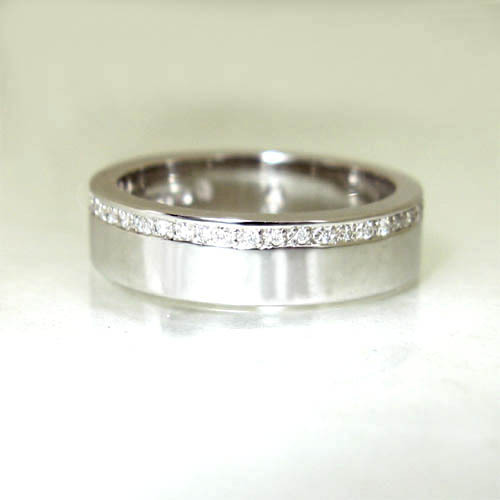 We produce a diverse range of wedding and partner rings in Platinum or Gold, or a combination of metals and colours. 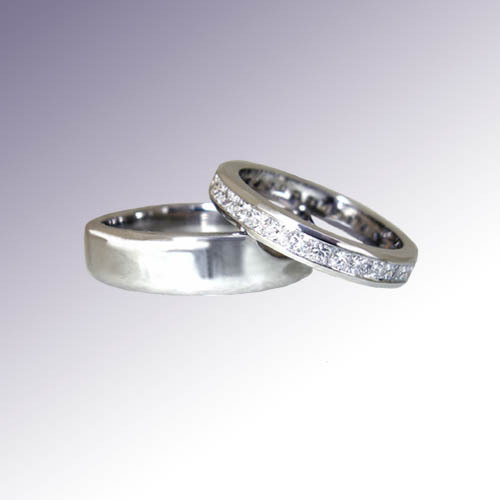 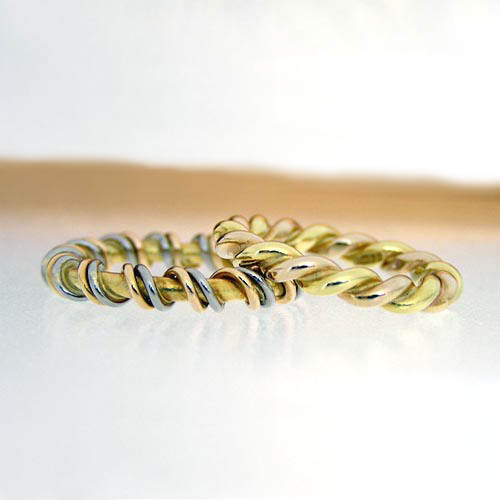 Each ring is designed and made with the individual in mind, to reflect personality and lifestyle. 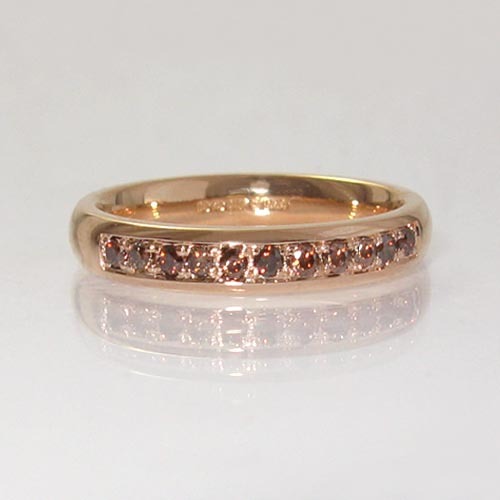 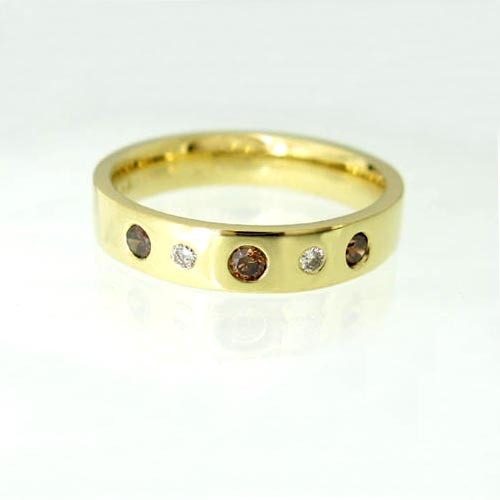 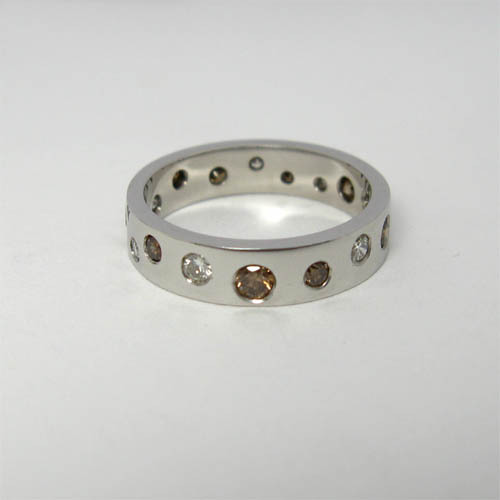 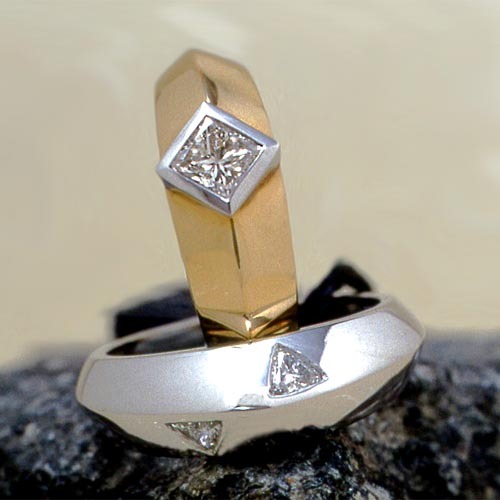 We can also incorporate your own gold and stones into a Bespoke ring, making it completely personal to you. 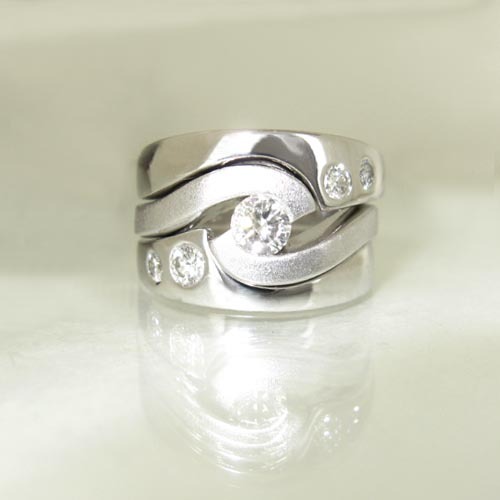 Please call in, phone or email, to discuss your ‘Forever Special’ Rings, unique to you. 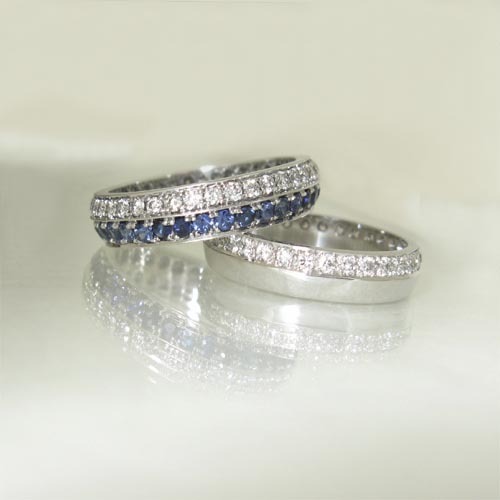 Sapphire and Diamond & Diamond Wedding Bands.